Here is a photograph from later in the afternoon. This is one that I just about missed. A bit more encroachment of that shadow and it wouldn't have come out at all. As it is, I love the way the shadows fall. I'm not sure really whether this is Flagler Beach or Crescent Beach. We visited both that same weekend. 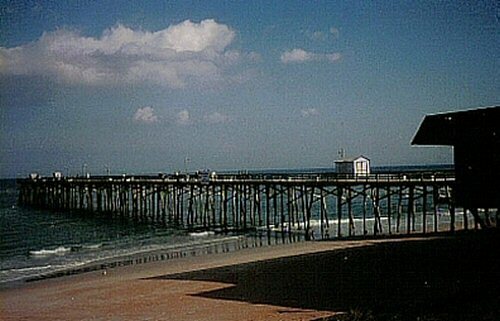 This doesn't really look like the pier at Flagler to me. 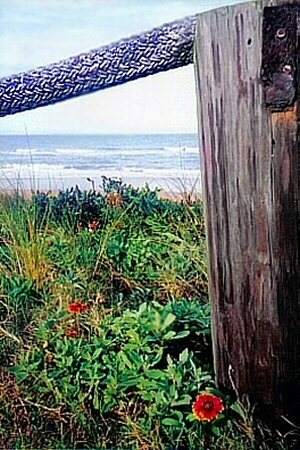 Don took this beautiful shot of Flagler beach one sunny morning in October quite a long time ago. 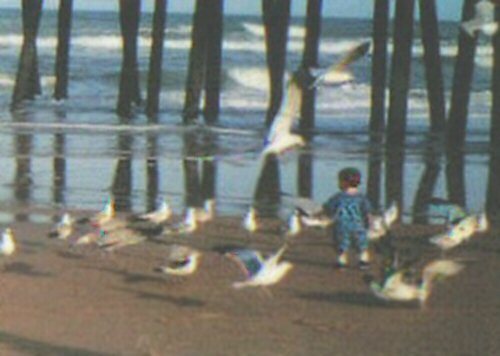 We took the kids on a jaunt down the east coast one weekend, starting with Jacksonville Beach. 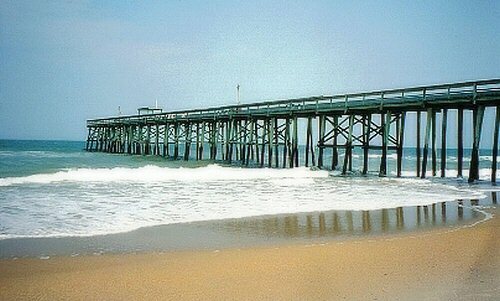 Flagler was such a beautiful clean beach. Cocoa Beach, further south, has---or had---some good places to eat and drink, but the beach was pretty dirty and used-looking when I was there. Cocoa wasn't a place where you could really enjoy a solitary walk: too many teenagers swimming, sunning, surfing, and so forth. I enjoyed the beach bars at Cocoa, but the beach at Flagler is better for walking and photography. I love the contrast between the brownish sand at Flagler Beach and the blue water.